We are happy to announce this year's 2018 MOON Study poster contest winners! Thank you to all that participated. Check out the winning entries from 2017. Download previous winning posters. What is your hometown/state? School or work affiliation? I am originally from the Chicago area but have been living in Boston for my graduate program in Public Health at Northeastern University. I heard about the program through my masters program. Did participation change your thoughts about opioids or naloxone? As a recent graduate from a public health masters program, I believe I knew a fair amount about opioids and naloxone going into this project. That being said, I worked on this project with my partner, Jack McCormick, who doesn't come from a healthcare background. It was exciting to share this information with someone new and deepen my knowledge on the subject as well. 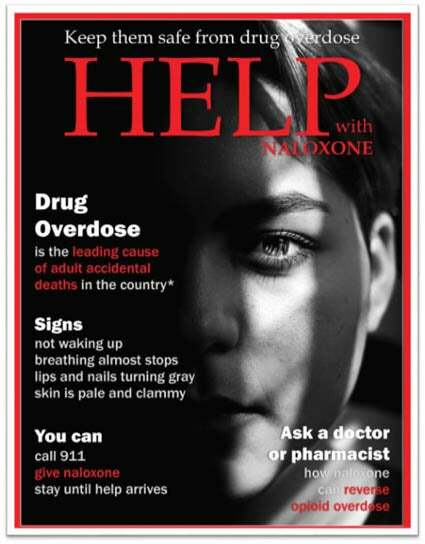 Working on this project prompted us both to carry naloxone with us day to day. I’m originally from Buffalo, NY but currently live in Boston, MA. I have just completed my Master of Science in Health Communication from Tufts University. I heard about the contest from my program’s career advisor. We receive emails about various public health opportunities, and the email about the poster contest caught my eye. As a public health student, I had learned a lot about the opioid epidemic. However, I was not as aware about the effectiveness of naloxone. I also read several news articles about family members losing their loved ones which inspired the language I chose for the poster. I wanted to remind people that the lives lost from opioids are not just statistics; these people are someone’s mother, father, son, daughter or best friend. This was not something I had given so much thought since much of the news on the topic focuses on the opioid epidemic more broadly rather than the people behind the statistics. Creating posters is a way to creatively address such a tragic and serious public health problem. Through my poster, I hope more people start talking to their loved ones and access the treatment they need. My hometown is in Markham, Ontario, Canada. I am currently a Master’s student studying in Boston, Massachusetts. My program is called the Masters in PREP, which stands for Pain Research, Education, and Pain. It is a program under the Public Health and Professional Study (PHPD) department of Tufts University School of Medicine. I heard about this contest from an email sent by the PHPD faculty. For me, the experience is the other way around. I have gained so much insight about opioid medications and pain management from my program, and I was attending a course about substance-use behavior when I submitted my poster. 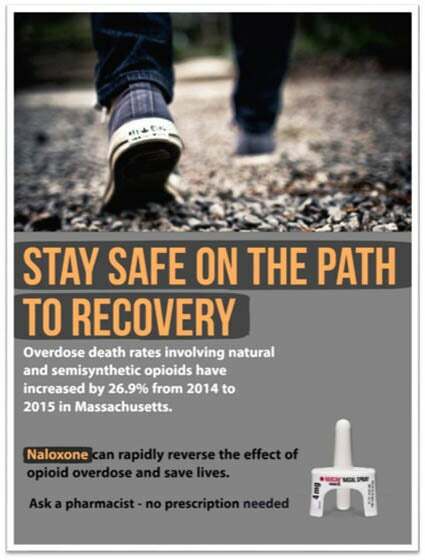 Therefore, I already had a changed attitude toward opioids and naloxone when I participated in this contest. In fact, I would say I was inspired by the experiences in my classes to participate in this contest. Hometown: Mumbai, India; Master of Public Health student at Tufts University School of Medicine, MA. I work directly with people who inject drugs in the Merrimack Valley of MA and also carry naloxone on me as part of the job. Yet, the contest reinforced in my mind the ubiquitous nature of the problem and how important it is to shun the stigma around it. I have tried portraying the same in my poster. It really could happen to anyone! 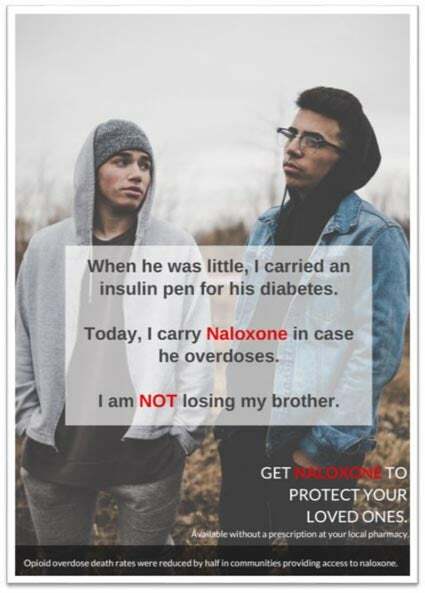 Now, I am even more motivated to have conversations about opioids and naloxone, with family and friends and even strangers. I am from the island of Guam; had recently completed my graduate coursework at Tufts University in Boston. From the Student Support Services at Tufts. 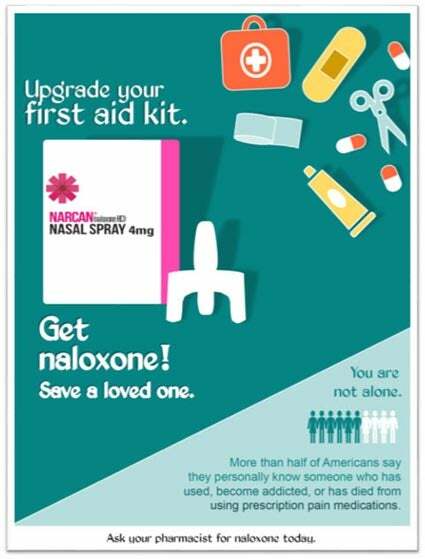 Learning about the easy access for an overdose prevention drug like Naloxone was new, useful information to me. In the process of creating the poster, the aspect that made me more invested to the cause was focusing the narrative to a specific audience. I understood and appreciated more the valuable contribution of a loved one – whether they have a clinical background or merely genuine concern – to a person who may have opioid misuse issues. I am from Lower Moreland Township in Montgomery County in Pennsylvania. I am a student at Thomas Jefferson College of Pharmacy in Philadelphia PA. This opportunity was very fulfilling and helped me realize the influential role I have as a student and future pharmacist to promote opioid safety and combat opioid abuse. I took this opportunity to fully engage in new opportunities to promote opioid safety by participating in local educational programs and institutional opioid research projects. I also learned a great deal about the new regulations and role of a pharmacist in ensuring the safe dispensing and counseling of naloxone. This project has motivated me to play an active role to combat the opioid crisis by integrating opioid safety and stewardship programs into my future career as a clinical pharmacist. I was born and raised in Chicago Illinois. Currently, I am a graduate student at the University of Pennsylvania getting my Masters in Public Health. My Masters in Public Health program has great diversity in interests, and I was informed of the contest through the MPH Facebook group by another MPH student, Matt Miclette. While my focus in Public Health is more focused on community building and distribution of resources to under-sourced communities, I am also very interested in Public Health communication and infographics. 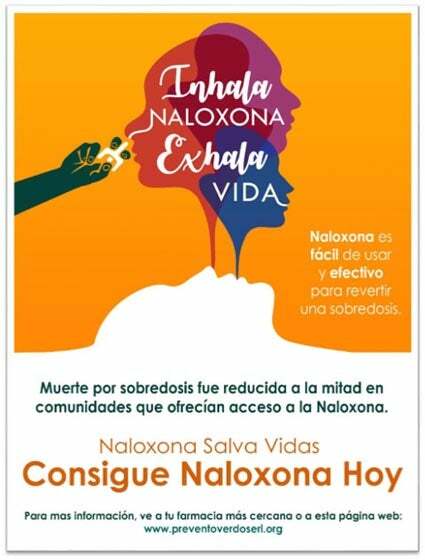 With the new political and social attention on Naloxone, I thought it would be a wonderful opportunity to develop a poster that was tailored to both Spanish and English speakers. Therefore, I decided to take the opportunity. 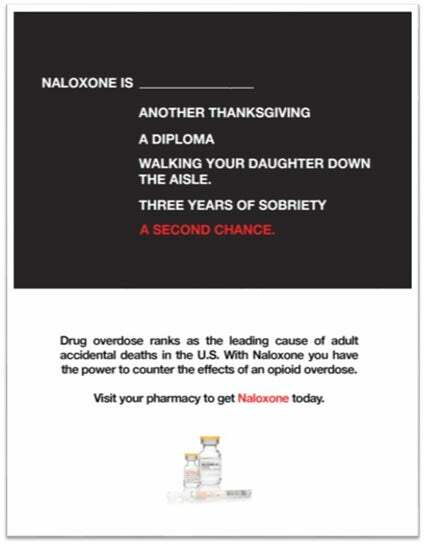 I would say that the participation in this contest reinforced my thoughts about opioids/naloxone. This submission was a collaborative effort between Paola Quijano, Mildrey Porto, and Susana Villalba who attend Harding University College of Pharmacy, as well as Carolina Bocanegra who is a graphic designer based in Dallas, Texas. Paola is from Fort Worth, Texas, Susana from Little Rock, Arkansas, and Mildrey from Miami, Florida. We heard about the MOON Contest from our professor, Dr. Kaci Bohn, who received an email about the national poster contest from the American Association of Colleges of Pharmacy and knew our desire for health education and awareness for Spanish speakers. 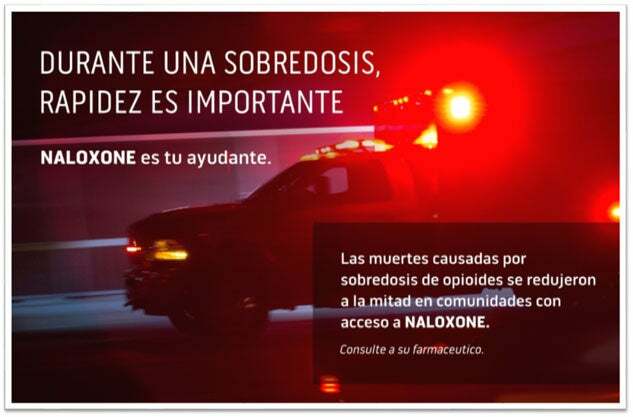 While we knew about naloxone and the opioid epidemic, we were greatly shocked at the most recent statistics and the dire need of public awareness of naloxone. 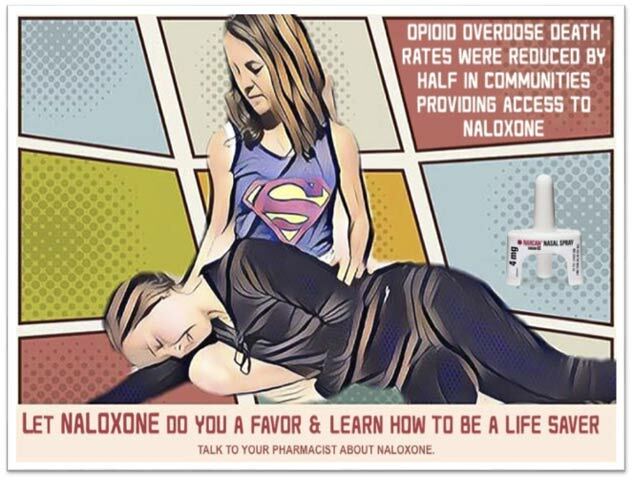 As future pharmacists, we hope to educate our patients about opioid safety, life-saving naloxone and help destigmatize opioid addiction and accidental overdoses.